Ali baba and a Few Thieves is one of the latest paintings by Ellie Hesse. The painting is framed and measures 96 x 96 cm including the frame. 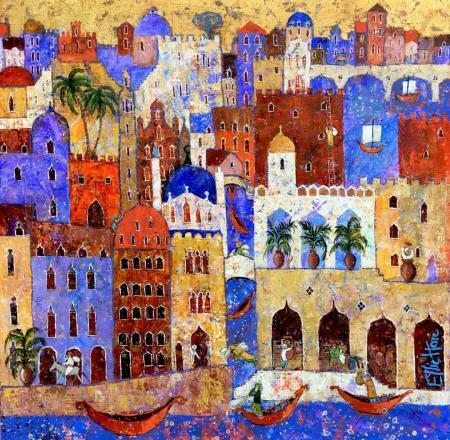 This artist lives near Rome and sends her paintings over to Bell Fine Art and London Contemporary Art to exhibit.